On March 17th, the whole world turns green. It’s St. Paddy’s Day and despite the distance to Ireland, Prague is a fantastic place to be on that eventful day. 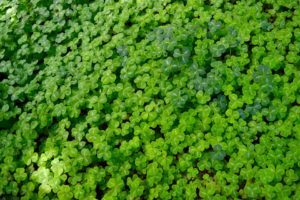 Wondering how to spend a fabulous St. Patrick’s Day in the Czech Capital and how to prepare for the big day? Then our ultimate guide to St. Paddy’s Day is just what you need! Thousands of people dressed in green celebrate St. Patrick on March 17th. But who was Patrick and why is he celebrated? Patrick was born in AD 387 in Hadrian’s Wall, Britain. Yes, Patrick was not Irish. Only by being captivated and taken to Ireland by Irish Pageans, he landed in Éire. During six years of being a slave, he became fond of the spirit of the Irish and upon his return to his family, he vowed to return to Ireland someday. Patrick became a priest, then a bishop and Pope Celestine I commissioned Patrick to be an apostle to Ireland. Though he first faced a rather brisk wind from druids and pagans, he eventually managed to get the majority of ruling King Laoghaire’s family to convert to Christianity (the king himself refusing to do so). Little by little, the old faith started to fade and Patrick traveled around the country and established the Catholic Church. Priests were baptized, confirmed and ordained; schools and monasteries erected. Many joined Patrick’s religious direction and within only 30 years, the island nation was converted. Patrick died on March 17th, 461, and was buried in Northern Ireland. He is nowadays known as the patron of Ireland and his memory celebrated on his death day. 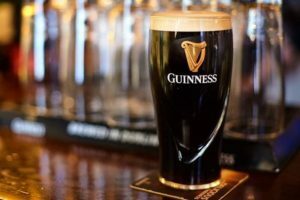 So you are spending St. Patrick’s Day in Prague and are looking for places to go and things to do to celebrate. 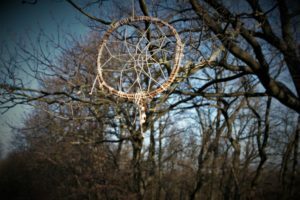 We found some traditional and alternative things to do that will make the Irish celebration in the Czech city a blast. Are you more of a trekker than party animal? No problem! Prague offers the perfect day hike for St. Patrick’s Day. A 10 minutes bus ride from Smíchovské nádraží away, Zbraslav holds one of the oldest former Celtic Monuments in the Republic. Simply pack a lunch, hop on the bus number 360 (there is other buses going from the same bus tance, too) and get off at “Zbraslav, Most Závodu míru”. From here, simply cross the bridge and enjoy a picturesque view over the Vltava and the hill you are about to climb ahead of you. To get to the trail, simply follow the pedestrian path straight ahead until a rather old, stone staircase comes up to your right. As inviting as it looks, do not follow the trail down to the river (unless you are looking for a riverside walk). After climbing down the stairs, turn left. 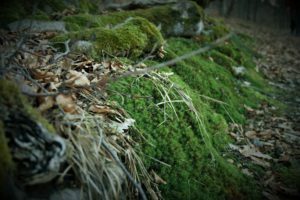 You will be greeted by vividly green moss beds and a stream. Follow the right turn into the forest. If you are looking for an easier hiking experience, follow the green trail that meanders around the hill and will bring you to the monument more directly. If you are looking for a challenge, follow the blue trail that inclines rather steeply to your right hand side. Though demanding, the climb up will reward you with a monumental view over Zbraslav area. You will also encounter the “Arcibiskupský altán” (Archbishop’s pavilion), which is just perfect for a quick break to catch your breath. From the church, follow the trail through a tree alley and meander between the moss-kissed trees until you find yourself standing in front of a tiny hill. 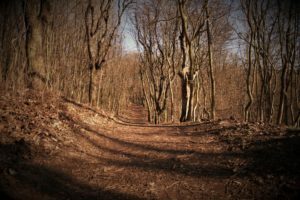 From here, you want to either turn left and walk through the forest to the pavilion of the monument or follow the fortifications to your right hand side that will naturally lead you to the remains of the Celtic monument. After inspecting the area, you want to leave the mystic plateau of the hill by crossing it and following the trail that loops around it. This is where you want to start following the blue trail down, encountering beautiful vistas while walking in between the surrounding giants of Zbraslav. 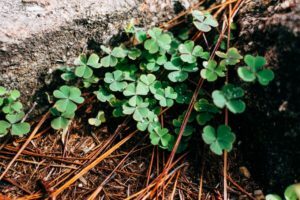 The trail is mostly downhill from here on and moss, shamrocks and other greens will lead the way out of the forest; leading you to the end of your St. Paddy’s experience from where you started: The tiny bridge over the stream meandering through a moss bed. For all those not wearing green, most Irish Pubs have a solution on how to still get a bit of luck into your new year: Green Beer! 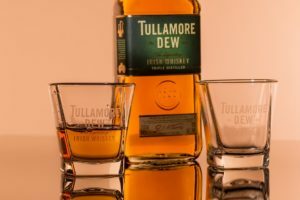 Next to rather unusual colored brew, be sure to taste one or two Irish Whiskeys, too. Unfortunately, St. Patrick’s Day falls on a Sunday this year, where most Whisky Bars remain closed. If you’d rather have the tasting experience before or after, Prague has a few good places in store, where a gourmet can taste some Irish jewels. Whiskeria on Jindřišská, offers a whiskey tasting experience of your choice and will competently lead you through your boozy experience. Bartida on Havelská, is another great spot to encounter different distillates. If you don’t want to prematurely taste the golden liquid and are willing to skip the tasting experience, be sure to visit Bars & Books; their whisky menu holds a few Irish whiskey classics. The tradition of wearing Shamrock is still alive up to this day. It apparently dates back to the seventeenth or eighteenth century, which was a rather turbulent time in Irish history. The ruling British invaders suppressed the Gaelic way of life by enforcing laws against their religion and language. 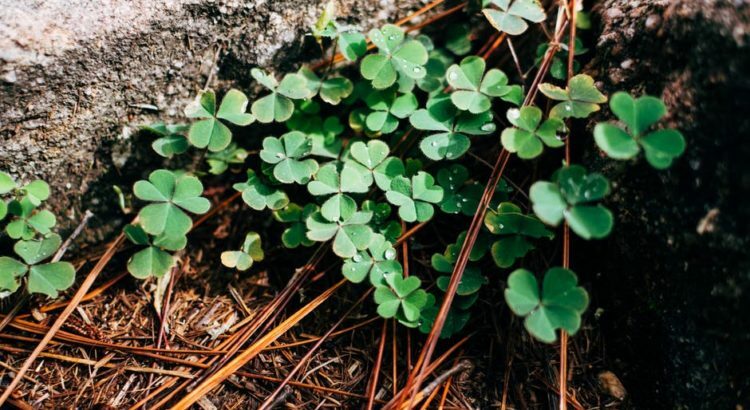 Wearing Shamrock became a symbol of Irish nationalism back then but is – against popular belief – not the national symbol of Ireland. This is also why wearing Shamrock on St. Paddy’s day is a tradition like many others. On top of that, green is the color of luck; so don’t forget to wear something green for this special day. Whether you choose the item to be a shirt, vest or hat or you want to go full out and dress up as gold hunting leprechaun; anything green goes on this special day. If you are looking for the perfect costume, be sure to check out Ptákoviny. The main ingredients for a successful and authentic St. Patrick’s Day dinner? Cabbage & Corned Beef. Whether you would like to throw a dinner party for friends or let your cooking utensils rest in the cupboard; getting a traditional St. Paddy’s dinner on the table in Prague is easily done. If you choose to go out for the Irish Feast, be sure to check out Bad Jeff’s Barbecue and Becketts Irish Pub in Vinohrady. Enjoy Becketts special food and drinks menu while listening to live music by Chip & Co. As the night goes on, the chanting and dancing will intensify and give you a unforgettable St. Paddy’s Day experience! Of course, Becketts pours Guinness, Tullamore Dew and Jameson. Several Irish Pubs around the city celebrate St. Patrick’s Day. Some of them even for the whole weekend and beyond! One of our top picks – along with Becketts Irish Pub – is James Joyce Irish Pub. The special thing about the latter? It was the pub which, on November 5th, 1993, poured the first pint of draught Guinness in Czech Republic. More so, it is the oldest Irish Pub in the capital. People like Václav Havel and Elijah Wood have been spotted enjoying the atmosphere of the pub in Lesser Town. If you find yourself in Žižkov on St. Paddy’s and would prefer to celebrate a little out of the city center, a fitting party is never far away. Freshly draft (and green) beer along with shamrocking live music and lots of good vibes, Žižkovšiška is throwing the St. Paddy’s Jam to go to. 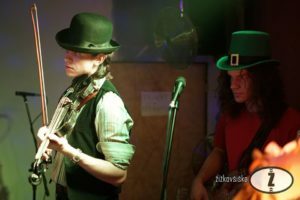 Altering their traditional Sunday Soup Jam Session to honor St. Patrick, they invite all musicians with Irish instruments such as fiddles, banjo, mandolin, pipes, bodhran, whistles and more to come out and jam Irish style. Make sure you wear something green! 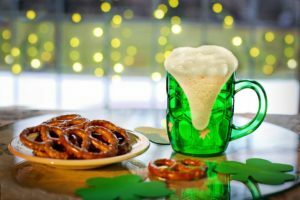 Have you celebrated St. Patrick’s Day in Prague before and want to share some more ideas to have a good time on March 17th? Let us and other curious expats know in the comments! Happy St. Paddy’s and Stay Safe!